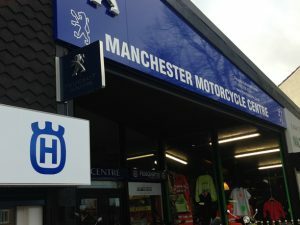 Manchester Motorcycle Centre has been serving bikers for many years and provides all types of road and off-road bikes, and a full range of parts and accessories. From our Worsley showroom we provide after-sales, MOT, and service facilities on site for bikers in the Greater Manchester area. Our 2000sq ft showroom on Memorial Road, Walkden is fully open to the public, 6 days a week. There’s something for everyone at the Manchester Motorbike Centre. We carry a huge stock of motorcycles and scooters and we sell a vast range of motorbike accessories and clothing. We provide a full after-care service, including MOTs and motorbike repair. We won’t be beaten on genuine deals on motorcycles in Manchester, so from racing bikes to frugal scooters, grand tourers to trail bikes, if you want a new or used motorbike in Manchester, look no further. Whether it’s in-store or online, we are here to help. We love motorbikes and whether you’re a first-timer or an experienced rider, we’ll help you through the sometimes tricky process of buying a new or used bike in our Manchester showroom or through the website. We also provide the complete after care for any clothing & accessories requirements or bike service & repair needs. Once you’ve decided to buy a motorbike or scooter, choosing a new motorbike or used motorbike can be a real headache. With over 25 years’ experience in selling new and used motorbikes, we’ll give you the help and advice you need to choose the right bike for you. Just drop into our showroom or get in touch and speak to any of our friendly staff.